Enjoy Houston- Texas and all it has to offer- whether staying for business- pleasure- or just passing through at the Americas Best Value Inn near NRG Park/Medical Center. Ideally situated in Texas Medical Center- our hotel is conveniently located on South Main Street off of Interstate 610. We are near local attractions such as NRG Stadium- Houston Zoo- and Rice University. Our property offers many amenities such a shuttle to the Texas Medical Center and newsstand in the lobby. Sorry- no pets allowed. Start your day of sightseeing or business with a free cup of coffee or continental breakfast. Whether you-re traveling for business or pleasure- stay connected with our free Wi-Fi available throughout the property. Each of our guest rooms feature the ambiance of home luxuries such as free Wi-Fi- microwave- mini-fridge- hairdryer- coffeemaker- flat panel cable TV- Showtime- ESPN- iron- ironing board- table with chairs- and alarm clock radio. We also offer a limited number of rooms with a kitchenette. 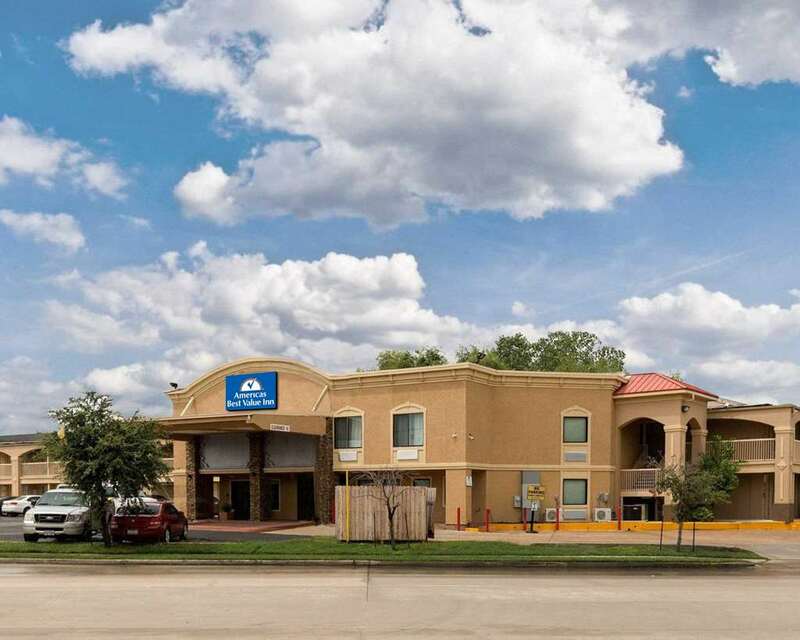 Americas Best Value Inn near NRG Park/Medical Center is your best choice within Space City. We offer ideal accommodations and location whether you are in town for entertainment- music and food festivals- sightseeing- wildlife activities or simply passing through on your way to Austin or Galveston. At Americas Best Value Inn near NRG Park/Medical Center our goal is to provide our guests a great experience- not just a place to stay. At Americas Best Value Inn near NRG Park/Medical Center- We-ve Got You Covered from the time you hit the road until your head hits the pillow. Discover Houston-TX and all it has to offer- whether staying for business- pleasure-- or just passing through at the Americas Best Value Inn Near NRG Park Medical Center. Ideally situated only a few miles from NRG Stadium- Texas Medical Center- and Rice University- our hotel is conveniently located on Main Street and Interstate 610. Our address is 7905 South Main Street- Houston- TX 77025.